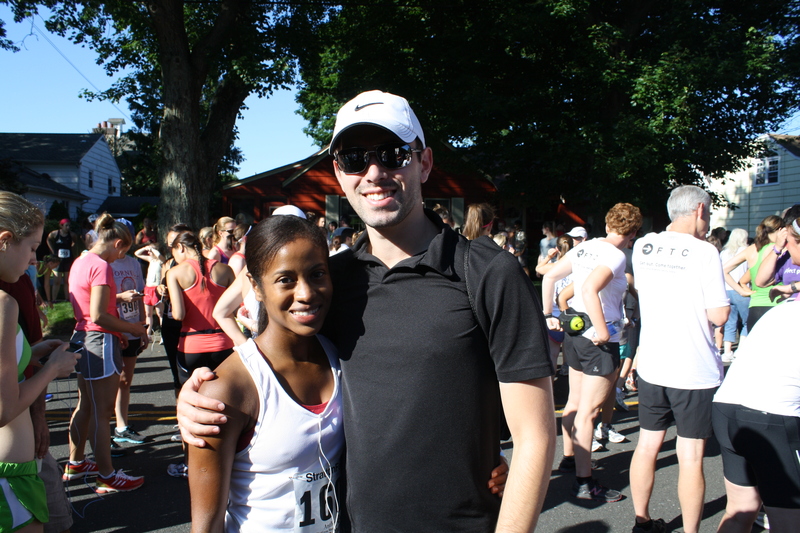 2012 Stratton Faxon Fairfield Half Marathon! I’m officially a half marathoner! This Sunday, after months of training, I ran my first half marathon. The 2012 Stratton Faxon Fairfield Half Marathon had an 8:30 am start time, so Matt, my mom and I met up and headed out early to make it to the race by 7 am. I had two eggs over easy, toast and an apple for breakfast. Parking was sparse even by the time we got to Jennings beach. 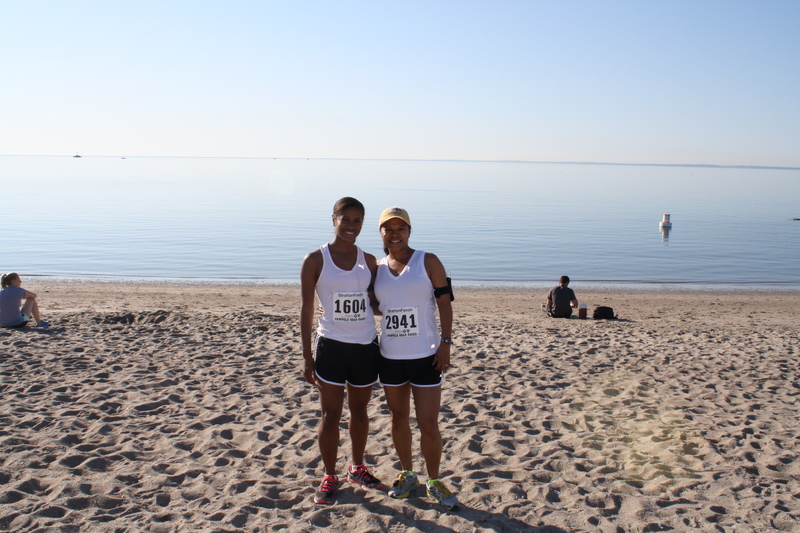 A pre-race photo on the beach. It ended up being a gorgeous day, warm with a bit of a breeze. Though this was my first half marathon I’ve done plenty of races, so it was interesting to see how this race was set-up. I was a little confused picking up my number because they were not sorted by name. Instead you had to find a separate table and look-up your number then return to the table to for your number. The race had separate start lines for men and women, which I wasn’t a big fan of. I couldn’t quite figure out the reasoning behind this because everyone merged after a mile. 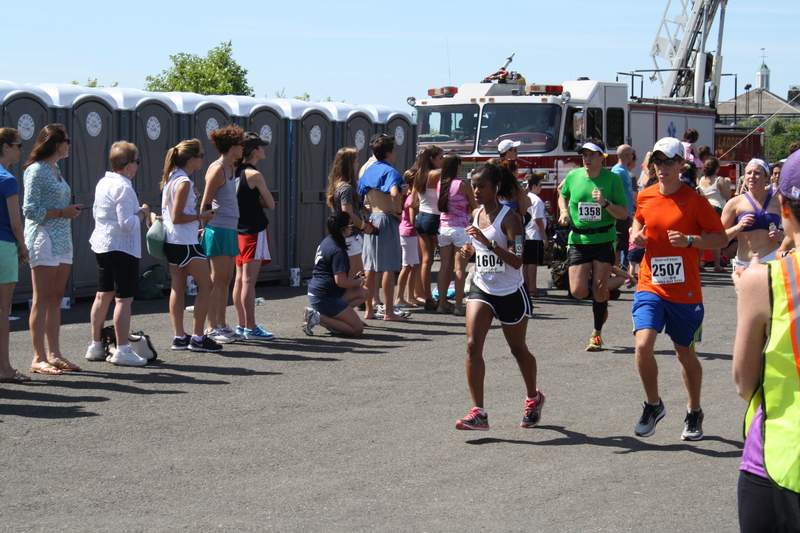 Some couples that were running together disregarded this so there were a few men in the women’s start. Matt and I standing by the start line. I felt prepared for the race because I heard ahead of time that it was hilly. I took the first 3 miles out kind of quick I was running about 8 min per mile. After this I slowed down. My goal for the race was to just not stop and if possible finish under 2 hours. Around mile 4 I started to get a cramp, but there were plenty of water stations every couple of miles and this helped, the cramp slowly went away. I slowed down for the water stations since it was hot I wanted to stay hydrated. Also, along the course there were plenty of sprinklers, I ran through most of them. Nearing the finish line. Only a few more meters left. There was a good amount of shade throughout the course. The toughest part for me was the last 3 miles. Although this part was relatively flat it was mostly in the sun. It was hard keeping up my pace, but I did it. I finished the race in 1:59:12 with a 9:06 pace per mile. I was so happy to be done and that I made it under 2 hours. 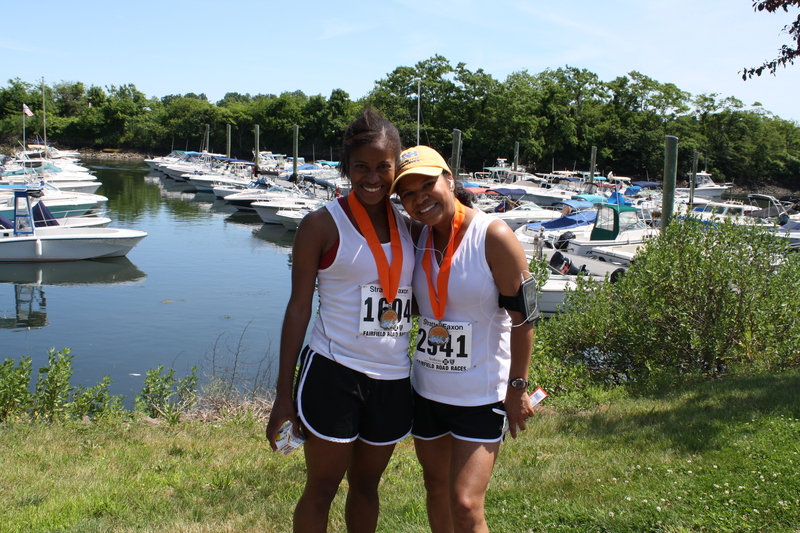 It was also great being able to run the race with my mom. She also had a great time and finished in 2:33:56. We both had an amazing sense of accomplishment. The post race shot. Check out the medals. I felt really prepared for the race. The Nike training program definitely helped with getting my endurance and strength up. Although it was a major commitment to make sure I went on my runs and did workouts, I’m glad I was prepared. It also gave me some great new workouts I can start to use when I go back to my regular for-fun training. I will incorporate more speed work and weight lifting into my routine. What has been your personal favorite race? Why? With just five days left until my half marathon I am in taper mode and it feels amazing. 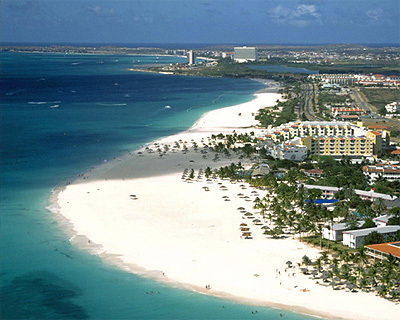 After all the longs runs and hard work, this week is the calm before the storm. I think the importance of taking it easy before a race can be taken for granted. The weekend after the Spartan Race I ran the Litchfield Hills Road Race which is 7.1 miles long with a killer hill at the end. I ran it in 1:01:41, at a 8:41 pace per mile. This isn’t a bad time, but it’s slower than I ran it last year. My time last year was about 4 minutes faster at 57:54 and a 8:10 per mile. This years race was hotter so that could of had something to do with it, but I also just think my body was tired from training so hard early in the week and not taking it easy before the race. This week the Nike Twitter training program really pulls back on the mileage. Monday- I should have done a hill sprint workout which I passed on for strength training since I wasn’t in an area with a hill. 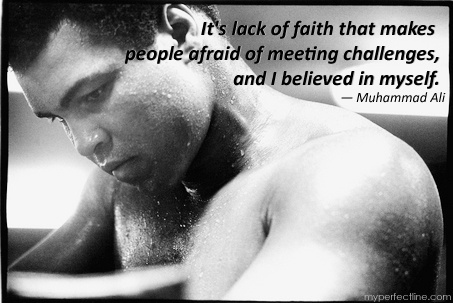 Tuesday (today) – Tempo Run 2 easy miles. I took this really easy with a 8:33 pace. Wednesday – Strength training or Off – As of now I think I will be taking the day off. I’m super excited for Sunday, I will update on how the race went Monday! What are some good pre-race meals? This weekend I did something kind of crazy. I ran a race. 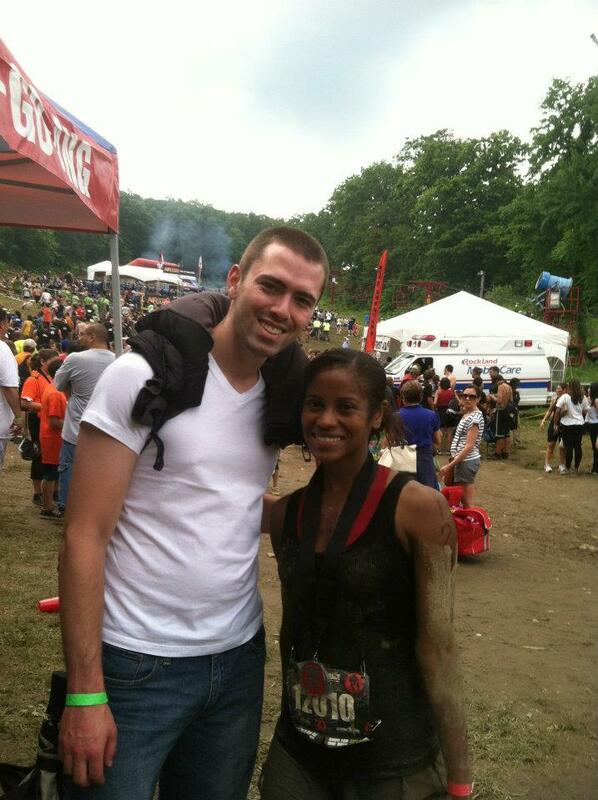 Not any race though, I ran the Tri-state NY Spartan Sprint. This race involved a lot more than running. 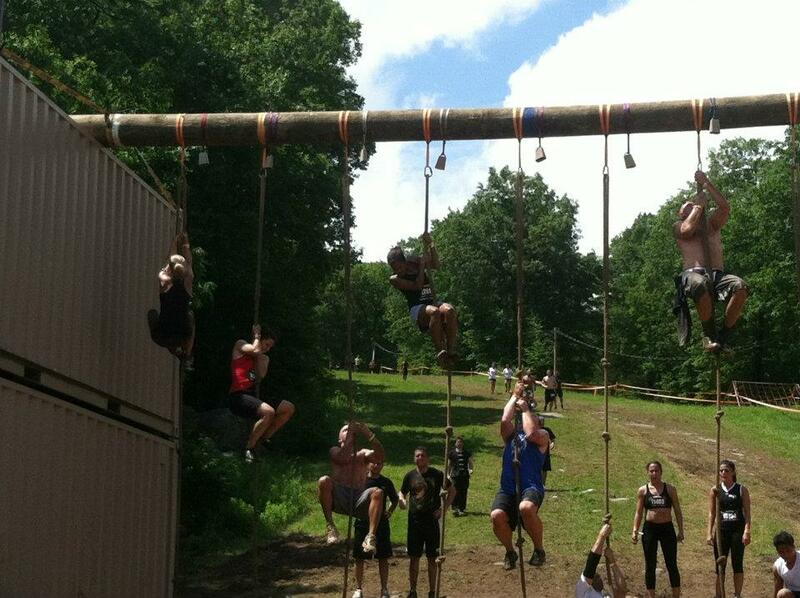 My team and I ended up climbing up ropes, scaling walls, crawling under barbed wire and these were only a few of the 15 obstacles on the 4 mile course. Here’s some of the photo so you can get a taste of what this race was like. Here’s the aftermath. 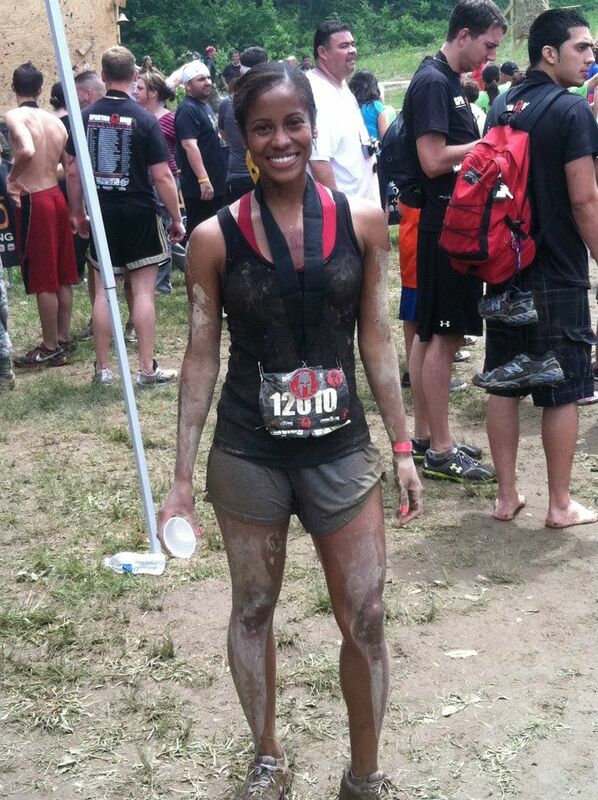 I was a mess, but it was so rewarding finishing this race. It pushed my body more than it’s ever been pushed before. I’m used to distance running and it’s tough, but this literally worked every muscle. Though it was really tough it was also a lot of fun. This was part of my team. My friend Sara is the one that told me about the race. It was nice doing it with people I know and also being encouraged by mutual friends I met that day. I finished Saturday’s race in 1 hour 53 minutes. I had planned on doing a long 9 mile run the day after, but my body had different plans. I literally have never been so sore in my life, so running was completely out of the question. I’m so glad I’ve been running and doing some strength training, without it I don’t think I could have completed the race the way I did. Despite my training my arms and back have been on fire. I also have a bunch of scrapes and cuts all over my legs. 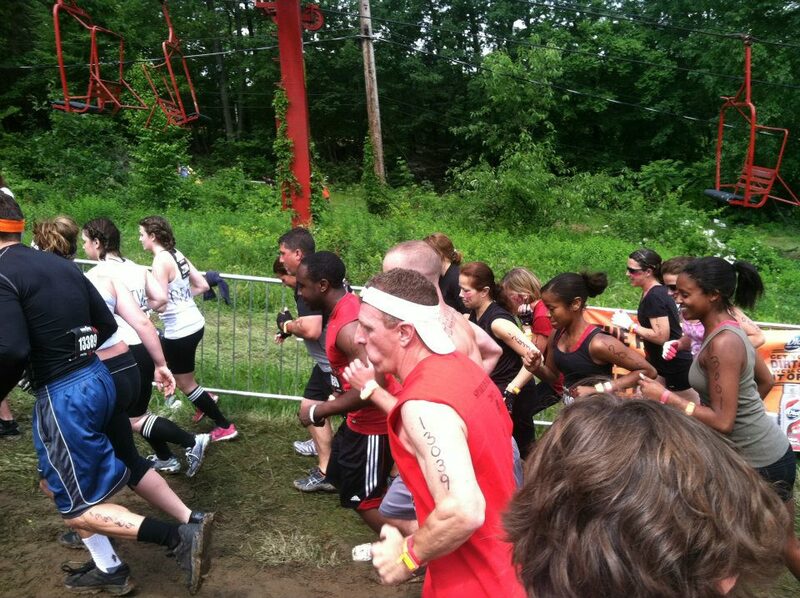 This race was not for the faint of heart. I’m glad I did it though. It was a great experience and another intense race I can check off my list. Today is the first day Iwasn’t too sore to attempt a run, so I finally got in my long run and finished 9.5 miles. The half marathon is almost here! 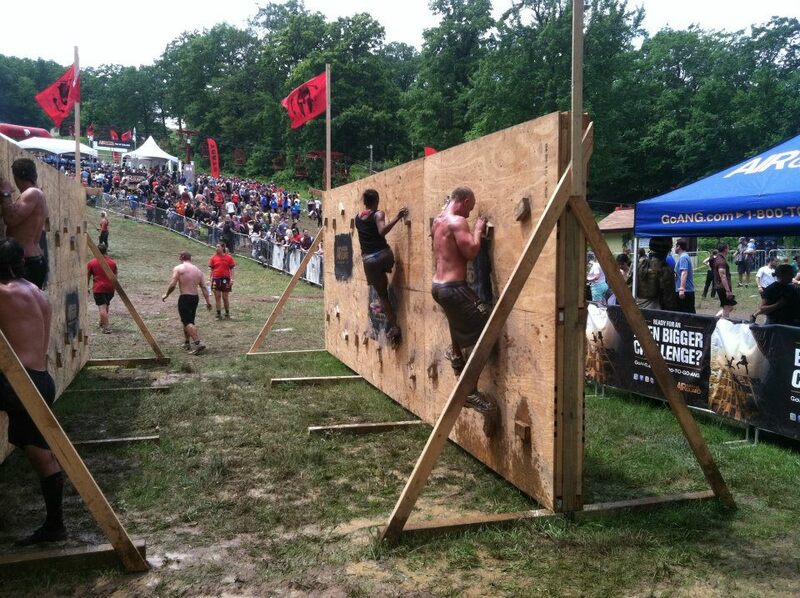 Have any of you competed in an obstacle race? Since my last post quite a bit has happened personally and with my training. The most important accomplishment is that I gradated this weekend! I officially have my master’s degree and it feels so amazing to be done. I’ve been able to read books and watch TV. It’s so nice not to have to do assigned reading, or have homework, or work on group projects. I couldn’t be happier. Also, I ran a 5k on May 5. 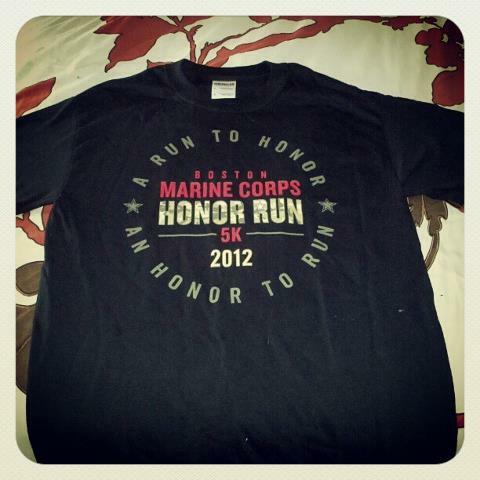 It was the Boston Marine Corps Honor 5k and matched a personal best with a time of 22:24 and a 7:13 split. I also finished 5th in the female 25 to 29 division, finishing 115 out of 1090 overall. It was a great race and it has definitely motivated me to push a little harder on my next 5k to bring that time down further. After the race my plantar fasciitis got worse so I took about few days off from training, but I recently started back up again. I also purchased some night splints which have been really helping. I’ve had a lot less pain in my heel and arches. I’m still doing the recommended plantar strengthening exercises too. 6.11 miles -51:21, 8:24 split. The last mile and a half of this was uphill and it was brutal. I took a few walking breaks since the hill was so steep. I planned to go to the gym Wednesday but I got there and found out my membership expired. Since I’m not sure if I’ll be staying in Boston I haven’t decided if I’m going to renew or not, so I’m going to have to do as much as I can at home. Saturday I have a 8 miler scheduled. It’s nice to finally be increasing my distance. The half marathon is just over 5 weeks away! Do you stick to a training plan or just do what you are in the mood for that day when it comes to exercise? So to follow-up on my last post, I went to the doctor on Friday and they basically recommended that I stop running in my old running shoes (which I already suspected) and they also gave me some exercises to prevent plantar fasciitis. Some of the pain I was experiencing was starting to show signs of plantar issues. They told me to continue to ice, use ibuprofen for inflammation and use different shoes. Right after my appointment I went to Marathon Sports right in Cambridge. I’ve heard a lot of great things about them, specifically that they will fit you for running shoes. When I got there they had me take off my shoes and walk around to determine my gait. Then they had me run outside in a pair of shoes to view my running form. They told me that I have a normal gait, which was surprising because I’ve heard that I over pronate in the past. After that they brought out a bunch of sneakers for me to try out. I was able to try them on and jog outside on the sidewalk in them to get a feel for them. 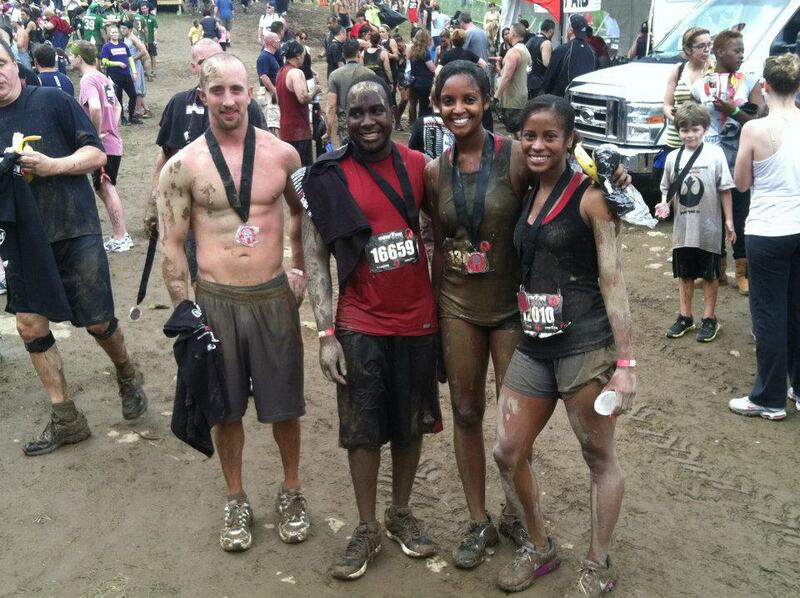 It was a great experience and I’ve never been to a running store that was that thorough. I ended up with a pair of Asics Gel Excel 33‘s and I absolutely love them so far. I’ve done long and short runs in them and couldn’t be happier. 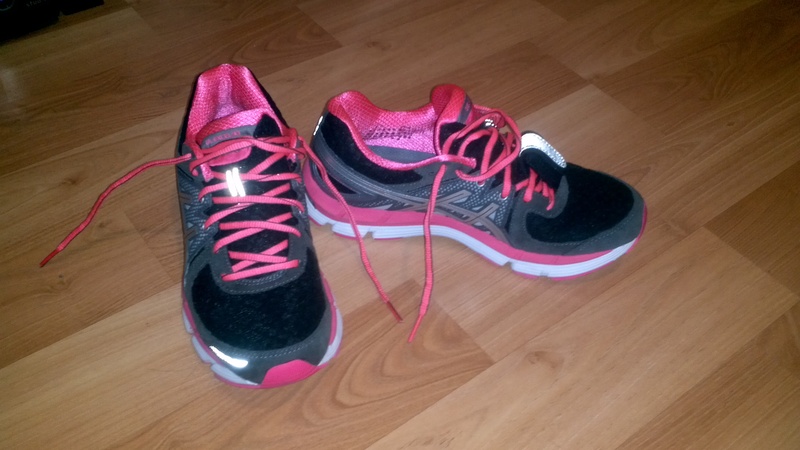 I can’t stand heavy running shoes so finding something light weight was important to me and these shoes are not only light, but are nicely cushioned. The tongue of the shoe also stays in place while I run, which hasn’t been the case with some of my other sneakers. I wasn’t a fan of the color at first, but they’ve grown on me. I also haven’t been experiencing foot pain which is the most important part, so I’m happy. I ran this in 16:07 on the treadmill. There were a bunch of new workouts and I’m really sore today. I did beat Tuesday’s time at 15:50 outdoors. I caught a bunch of traffic lights so this could have been faster. To follow the training schedule I ended up signing up for a 5k this Saturday. I haven’t run a race in a while so I’m excited. I just looked at the weather today though and it’s expected to rain on Saturday. I’m still going to try my hardest to get my personal record and I will try not to let the weather deter me from that. I’ll post soon to say how the race went and also to list the strength training exercises I’m doing this month. Does the weather effect your runs? I have major news. I had my final presentation on Monday and I am basically done with school! I need to show up for class next week to watch a presentation, but then I graduate on May 14. I’m so excited to finally be done and be just weeks away from having my master’s degree in marketing in my hands. All the hard work, long nights, lack of sleep and social life all paid off and now I can sit back, relax and enjoy. Due to the fact that the end of the semester was super busy I got behind on posting my training schedule. So I’ve listed what I’ve been up to for weeks three and four of my Nike half marathon training program. First I need to note that I’ve been experiencing a lot of problems with my foot and I think my sneakers have been causing all this discomfort. I bought the Nike Lunareclipse +2 running sneakers in the beginning of February and around that time I’ve been experiencing some major issues. Tendinitis flareups and ankle and joint pain. 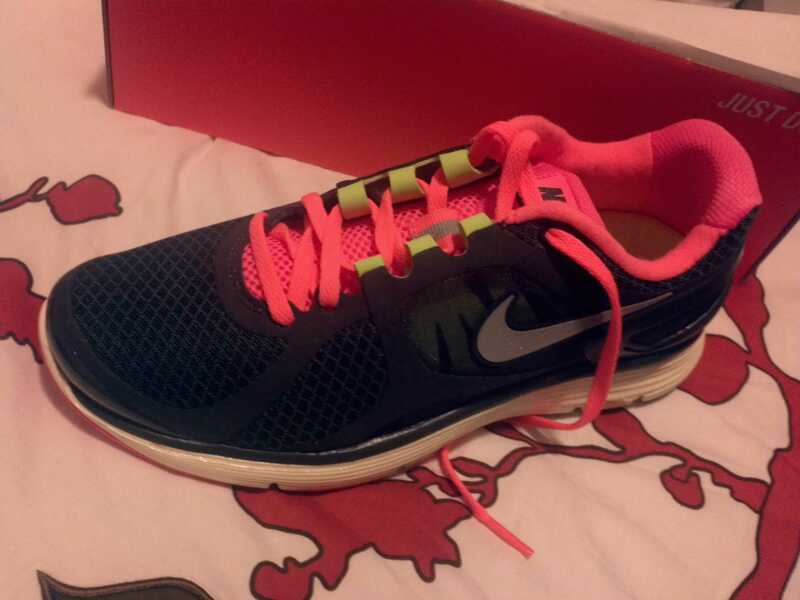 My last pair of running shoes were also Nike’s and I loved them after I wore them in. These shoes felt great the first two weeks, but I started to notice more problems. I’m thinking this shoe just wasn’t meant for my foot. I’m going to the doctor tomorrow and will hopefully be referred to a specialist, but the Lunareclipse’s have been retired until further notice. I’ll be going back to one of my old pairs until this gets figured out. I’m going to bring them to the appointment and see if the doctor thinks they are causing the issues. I really hope not since they were a bit of an investment on my part. I’m really hoping I didn’t drop $120 on a pair of running sneakers that could be causing injuries and I won’t be able to use. If that’s the case my running sneaker search will be starting again. Well on to my training. I switched around the workouts in the beginning of the week to work around my schedule. Track 5 x 400 Goal: Time Yourself. Beat Your Time with each 400 that you run. I ran this in 24:13. I didn’t beat Tuesday’s time because I think I took it out too fast earlier in the week. I was able to run my regular route which I haven’t done in almost a month, since I started this program. I ran this in just around 42 minutes and I felt like I was dragging. This was a nice easy run. I’m surprised there are still so many short runs involved in this program. I think it’s to increase my quickness to get a PR for the 5k, but I’m getting nervous I won’t be ready once the distances start to increase. I ran this in just about 21 minutes. These workouts are super tough. A lot of step ups and squats. My legs were dying after this one. I just completed this workout and absolutely destroyed Tuesday’s time. I ran it in19:08. So that’s what I’ve done to date and what I’m scheduled to do for the rest of the week. I’m hoping my appointment tomorrow goes well and I can get in with the specialist right away to determine what’s going on with my foot. I hope everyone’s having a great week. Anyone have any races coming up? Training continues. As I mentioned in my last post, my grad classes are coming to an end so these last couple of weeks have been really hectic and I can’t post as often as I would like. Last time I wrote I was getting ready to head out with my parents who were visiting. 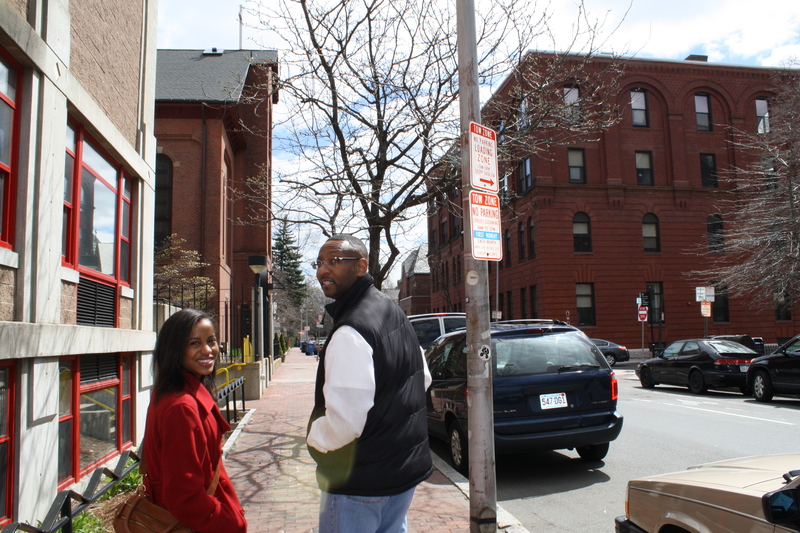 We did brunch, shopped and walked around Cambridge for a bit. It was a lot of fun and it was great to see them. I do talk to them regularly, but with classes I don’t see them as often as I would like. 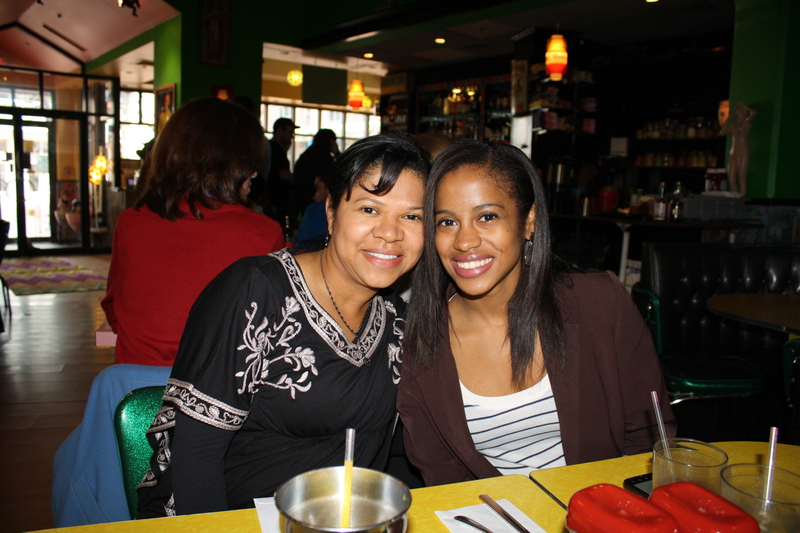 Brunch pic with my mom. I had a tasty gingerbread waffle. Me and my dad walking around the city. Matt came up after my parents left later in the afternoon and we went out to dinner Friday night and went dancing Saturday. I had an awesome weekend and I barely thought about school which was nice. This week was tough. It was a lot of work just trying to get my runs and workouts in around my schedule, but I made it work. There were quite a few early mornings. One downside was earlier in the week my tendonitis started to flare up again so I cut out one of my running days and switched my training around to be able to take a few days off of running. I do think it helped,my foot has been feeling a lot better. I’ve been doing a lot of preventative icing, stretching and taking ibuprofen. I took today off to rest my foot. I’m really trying to avoid any injuries so listening to my body was important. Strength Train A – This week I did all the sets. 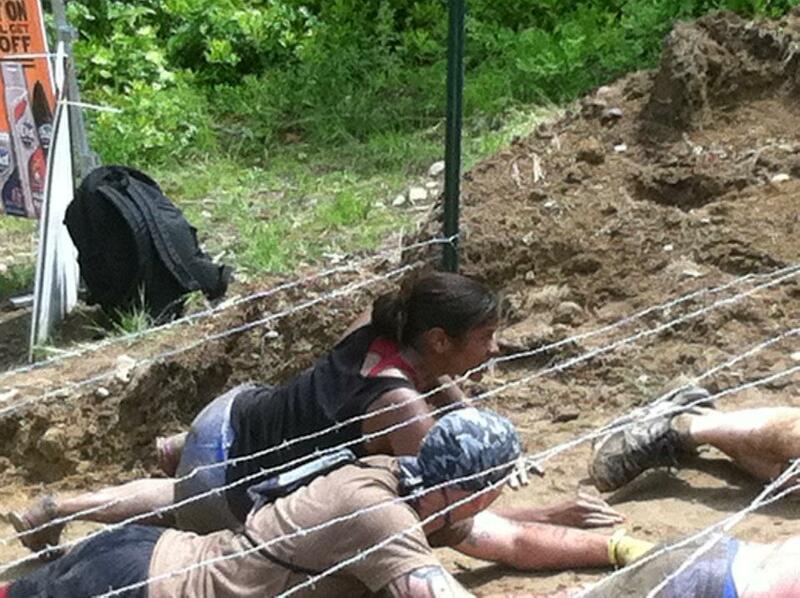 It was tough and I was pretty sore. I didn’t want to run today to give my foot another day off so this was a good way to still get a workout in. Hill Repeats: Warm Up 10 min. flat. 10 x 20-30 sec hill repeat: 30 sec rest between each. Cool Down 10 minutes flat. I live in an area with basically no hills so I did this workout on the treadmill. If you can do a hill sprint workout outside I would recommend it. The treadmill sounded like it was going to break on me. I completed this workout in 30:20. 2.5 mile. I ended up running about 2.66 miles in 19:43. Strength Train B. This was a super tough workout with a lot of leg work. I did a lot of squats and lunges and my legs were definitely feeling this. 4 mile run- flat with some rolling hills. I was super sore from my workout Friday. This was a great run because Matt did most of it with me. I completed this in 31:52. A much needed rest day. My legs are sore and it feels good to have a day off. This week I have a bunch of group meetings and a paper due, but I will try to check in again at the end of the week. It’s been a while since my last post. School and work have been nuts. I like the end of the semester because I know it’s all coming to an end, but it’s also the most stressful time with papers, group projects and wrapping up work. My silver lining for this week is that I officially started my half marathon training program from Nike. Since I’ve been so busy I’ve had to had move around my workout schedule. I’ve been doing a lot of early morning workouts instead of going after work. I’m actually enjoying them. Getting a run or strength training in the morning is a great way to start the day and I actually feel really energized. Track 4 x 400 Goal: Time Yourself. Beat Your Time with each 400 that you run. Strength Train A- perform 1 set, getting familiar with the exercises. I got a sheet full of exercises. They are pretty simple, but I had to look up a bunch of them online since I had never heard the names. Also, a nice easy workout day. Ended up at a slowish pace here too, but completed this in 16:39. Strength Train B- perform one set getting familiar with the exercises. Again, I looked up the exercises they listed. I will do another post later in my training to describe these more in depth. So this has been my week to date. I’m scheduled to run tomorrow and have a day off Sunday, but I’m going to swap those. It’s been super tough for me to start with such low mileage and low reps, but I know it’s going to increase in intensity each week so I’m trying to hold my self back from doing more. This was also a week to focus on pacing. So though this was slower than I normally run 3 to 5 miles in, it’s probably a good pace for a half marathon. On to something more personal, it’s my birthday! I’m 25 years old. I never actually feel older on a birthday, but 25 seems significant. 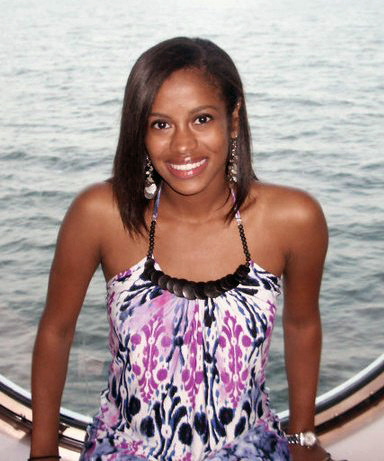 I’m definitely thankful to be healthy and where I am in my life. I have a great family, boyfriend, and friends, I’m less than a month a way from getting my master’s degree and I have a good job. I really can’t ask for much more than that. I took a vacation day off of work and right now I’m actually waiting for my parents to come visit. I’m really excited because I haven’t seen them in a while so it will be nice to catch up. We are headed to brunch and probably to check out the city a bit. Matt’s coming up later in the day and staying for the weekend. Do you every change your schedule to work out? Wake up earlier or push plans later to fit everything in? 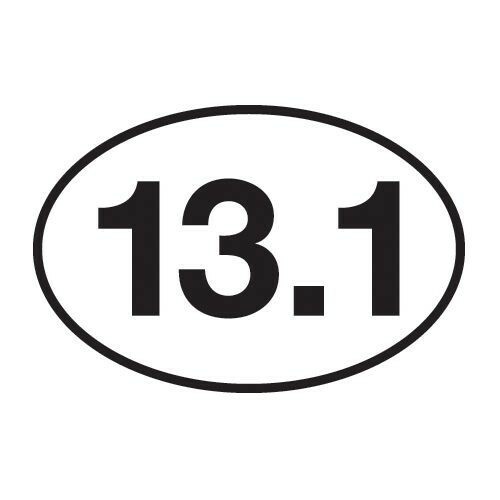 Signed Up to Run My First Half Marathon! This weekend I signed up for my first half marathon! This will be the longest distance I have ever run. I’m running the race the last week of June and although it’s still pretty far away I’m a little nervous and excited. I’m also excited because my mom plans to run this race too. She has wanted to run a marathon for years so doing this half will be a great way for her to get started toward that goal. I’m hoping before the race we can get a few runs in together too. I will start officially training April 1, to start the 12 week program on time. I’m going to try and follow the plan I received from Nike. They emailed me the full plan last week. There are four running days and two strength training days a week. I may have to switch some of the days for the week around to work with my school schedule, but it seems like a good plan. I will give a weekly rundown of my training. One thing I noticed is that the first month consists of some relatively low mileage compared to what I’m used to, but they have a note right on top of the page that says ” The volume may be lower than you are used to running but PLEASE stick to the recommended mileage.” This is going to be really hard for me, but they are the experts so I’m going to stick to it. So this last week before my official training starts I’m going to stick to my current routine and stay between 3.5 and 8 miles. What’s the longest road race you’ve ever competed in?